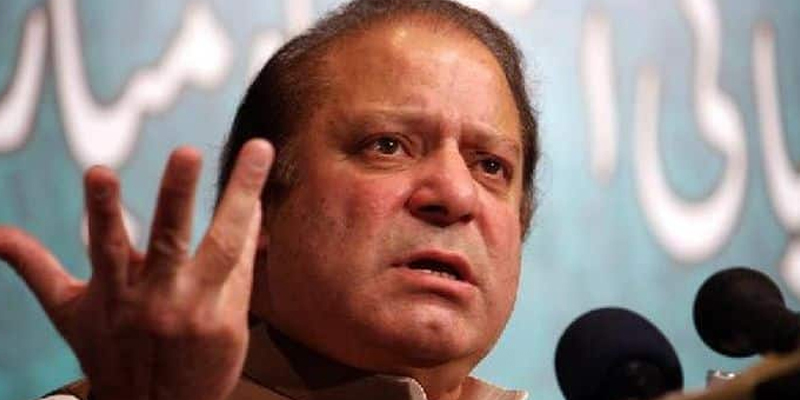 ISLAMABAD: Fearful of losing its candidates in ‘horse-trading’, the Pakistan Muslim League- Nawaz (PML-N) de facto chief Nawaz Sharif is seeking an ‘oath of allegiance’ from its Senate candidates, who were given tickets by the party, but are now contesting the elections as independents, according to a report by a private media outlet. PML-N is seeking ‘concrete’ assurances from it’s from its members contesting the upper house polls independently — that they would not change loyalties and ‘return’ to the party’s fold in case of winning the elections. The PML-N supremo recently held meetings at Punjab House in Islamabad and his Jati Umra residence in Lahore where he reportedly tasked PML-N Chairman Raja Zafarul Haq to have all the independent candidates assemble at Jati Umra. The sources added that the candidates would reportedly be asked to pledge an oath of their unconditional loyalty to PML-N. In addition, the candidates would also be offered ‘other benefits’ for staying loyal to their party and not join any other political party. The idea to seek assurances on oath surfaced during a recent meeting between Prime Minister Shahid Khaqan Abbasi, Punjab Chief Minister Shehbaz Sharif and Nawaz Sharif. Alarmed by the situation, the party leadership has instructed its parliamentary leaders to reach out to party lawmakers to ensure that they would only vote for the PML-N in the Senate polls, sources said. PM Abbasi, in his capacity as Leader of the House in the NA, is also playing an instrumental role in a bid to prevent the N-Leaguers from horse-trading. Earlier, on Thursday, PML-N’s senior leaders including Raja Zafarul Haq went to the ECP and conveyed to the election authorities that an acting party chief would be appointed soon (after Sharif’s disqualification). They had asked the body that Haq should be allowed to authorise PML-N nominations for Senate elections till the appointment of acting PML-N chief. However, the ECP rejected this request and later issued a notification that PML-N candidates who were issued tickets by Sharif, the former party chief, were allowed to contest Senate polls as independent candidates. On the hand, PML-N chairman Raja Zafarul Haq said there is no truth in the reports that party leadership would summon its members to contest the Senate elections independently to ensure their loyalties towards the party.